Constipation is defined as infrequent passage of hard stools, there may also be complaints of straining, sensation of incomplete evacuation and perianal or abdominal discomfort. Vishamaashan – Irregular habit of having meals. Excessive intake of fermented food, dry food (food with no roughage), food which is heavy to digest. Agnimandya (weakening of digestive fire). Incomplete evacuation of stools & straining. Frequent painful passage of stools. Heart burn, pain in abdomen. Excessive passage of flatus with bad odour. It can also result in dysmennorhoea in females. Chronic condition of constipation and straining can cause insomnia, headache, piles, fissures, and even rectal prolapse. Never use strong purgative medicines. Fluid intake like soups, warm water, fruit juices should be increased. warm milk with spoonful of ghee should be taken at night. Fibrous food like leafy vegetables, fruits like banana, dry grapes, sweet lime should be included in our diet. Avoid having too much of junk food like pizza, burgers, chips, bread and other fermented food. Nishottara churna (operculina terpethum), Triphala churna, Haritaki churna(terminalia chebula) can be taken along with warm water at night time. Castor oil should be taken along with warm water or with warm milk. 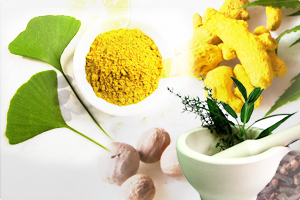 Formulations like Gandharva haritaki, ampachak vati, sukhsarak vati, abhayarishta, triphala vati can be helpful. Medicines like hingvashtak churna, trikatu, bhaskar lavan churna should be used to improve digestion and further avoid constipation. The other form of treatment includes use of varti (medicated suppositories). Administration of anuvasan basti (enema with medicated oil) would serve better benefits. Thus constipation is not a disease in itself, but a condition which if left untreated for long duration can cause many other diseases. This entry was posted in Annavha srotas vyadhi and tagged ayurveda medicine for Constipation, ayurvedic medicine for constipation, Constipation and ayurveda, indigestion ayurvedic treatment, indigestion treatment in ayurveda. Bookmark the permalink. I am suffering from constipation since some years. My Aryuvedic doctor has prescribed 2 tabs of Sukhasarak vati at about 8 PM and either 2 tabs Erend-haritaki or Gandharva Haritaki powder (full teaspoonful of powder) on retiring. It worked extremely well. But it uis becoming less and less effective. I also take fry fruits like wet prunes, anjir and suimilar products and try to take more water although I hate water and am never thirsty. Have you any suggestion? Love the post. I wanted to find out if you would consider using writing from guest posters sometime? Sukhsarak vati works well no doubt, but your body gets used to it when used regularly. Take hingvashtak churna half tsp with warm water before both meals, and abhayarista 3 spoons with double quantity of water after dinner. If possible you should go with Basti treatment ,it will definitely help you. Along with this you should also improve your dietary habits. Increase foods which will provide you more roughage like leafy vegetables, sprouted moong or moong dal, you can also have preparations made of urad dal. Fruits like banana, sweet lime juice, dry fig, black currents, You can also have fresh butter milk after meals. add a little sour taste to your food preparations. Can I get Sukhasarak Vati in New Jersey USA. If so, where? Or do I have to get it from Pune? firstly I’m really sorry for replying u so late.I’ve no idea about where can u get Sukhasarak vati in New Jersey. But my real concern is why do you need 200 tabs of it. Constipation is an ailment which should be treated properly your body should not get dependant on medicines for daily natural urges. U need proper case taking and authentic treatment for it instead of taking laxatives in such a large amount. Hope you understand. Which month of pregnancy are you into? you can have murabba of amla,black currants (manuka), dry figs this will not only help for constipation but also help your haemoglobin count increase. I am 69 years age retired vegetarian male. My daily meals contain 2 chapaties, sabji, Daal and Rice in lunch and Daal-Rice in dinner. I am suffering from constipation since many years and used to take 3 tablets of Harde tablets before bedtime and was it working, but thought of a change so I started Sukhsarak Vati 2 tablets before bed time two days ago. But due to this, I am waking-up in morning with severe pain in the back of the neck and also headache. What is the reason and what should be done? Please guide me. The reason is sukhsarak vati is stronger purgative wen compared to harde tabs. u can take 1tab along with 2tsp ghee and warm water the pain will subside n u’ll get the desired effect. if the prob is v.chronic i wud suggest u get Basti therapy done from nearest panchakarma clinic. Thank you very much for your reply and accordingly started doing as suggested by you. Still I was not feeling comfortable at all. So I have gone back to my old Tried and Tested special Harde Tablets which has 315 gms Harde plus 65 gms of other Herbs. Thus am back to that Feel Good Factor in mornings! I believe Harde is considered a very safe Herb since centuries even for regular use. I request you to correct me if I am wrong. You can take 2tabs of sukhsarak vati. Harde is undoubtedly safe herb but any laxative if taken for longer duration creates dependency,and weakens the intestines. you should get basti treatment done it will strengthen your digestive system,n intestine and also help cure the problem.